The latest claims from Digitimes have revealed that the currently number one smartphone maker Apple has got plans to unleash a number of high-tech devices following its successful release of flagship handsets, the iPhone 6 and iPhone 6 plus in this ongoing year. 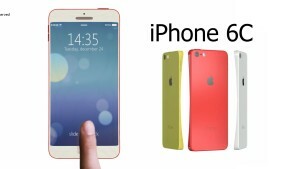 The upcoming devices are the iPhone 6S and iPhone 6 Plus S phablet alongside an inexpensive iPhone 6C. The speculated low-priced iPhone 6C will employ a polycarbonate construction — as they did to the colorful iPhone 5C — and will feature a less powerful chipset. Meanwhile, the major variation is that it will envelop a tinier, 4-inch screen glass in contrast to the traditional 4.7-inch glass panel on the recent iPhone 6. Digitimes also mentions that the upcoming handset will encompass a thumb-print scanner in addition to the Apple Pay digital payments platform. The iPhone is going to hit market shelves in September, 2015. Another rumor indicates that Apple has successfully filed a fresh patent which will enrich upcoming iPhones the capability to capture even better snaps and bring high-quality colours. The Apple Insider suggest that Apple has been conferred upon with a patent for a ‘digital camera with light splitter’ which will enable Apple to insert a three-sensor prism-based camera module within the chassis of a thin wireless device, such as the iPhone. This technology embedded in these phones would strengthen its camera quality and deliver a much more optimized result as far as colour resolution is concerned, particularly in low-light conditions.